A wedding photographed at Waterton Park Hotel in Wakefield. 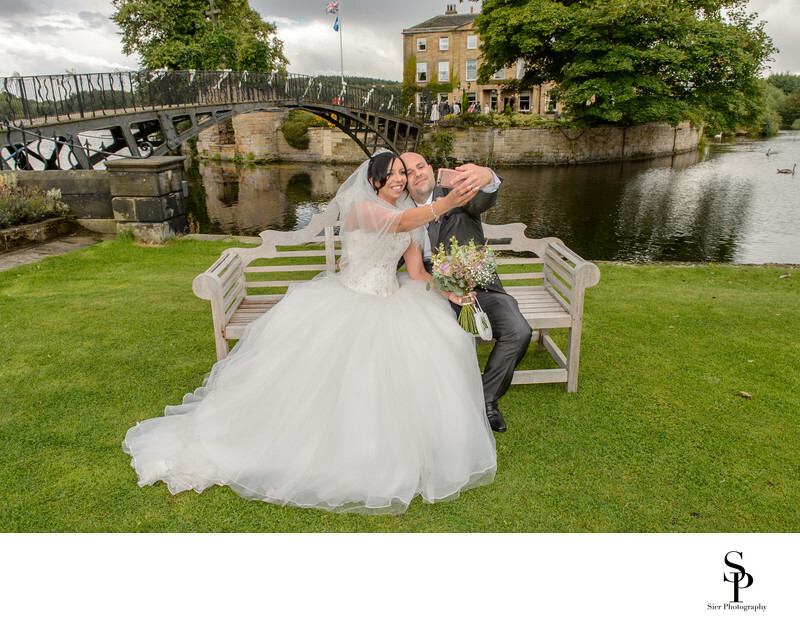 The couple were the first to officially use the newly installed "selfie bench" placed to take full advantage of the magnificent view of Walton Hall and the beautiful iron bridge spanning the moat surrounding the hall. The bench certainly seemed to be a hit with the bride and groom as well as many of their guests. This was the first wedding we had photographed at Waterton Park and it is a splendid place for sure. It is quite a strange experience to photograph someone who is photographing themselves but I'm sure we will not be the first wedding photographers to do exactly this at Walton Hall! We do our best to fit in with all the photography requests our couples have on their wedding day. We try not to interfere in whatever is going on but will do our bast to capture it for the future. 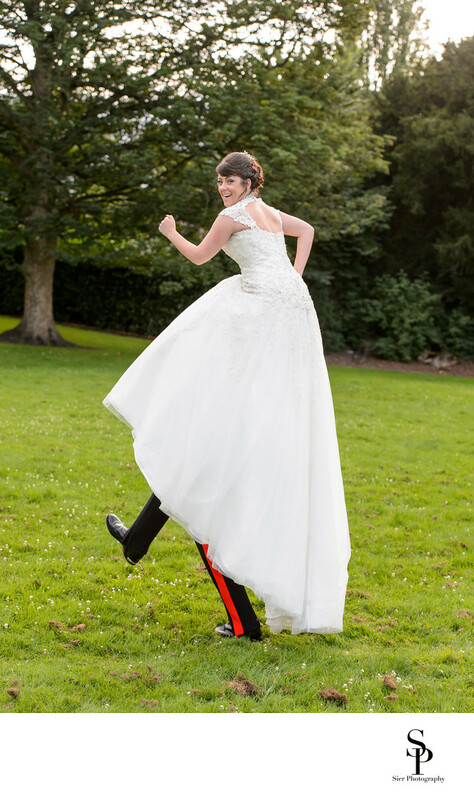 We try to avoid posing our couples for photographs as we feel these don't really reflect your wedding day. If you have a particular image in mind and you want to set this up yourselves then we have no objection to photographing this for you as it will be your idea of something you want to do. 1/200; f/8.0; ISO 110; 24.0 mm.